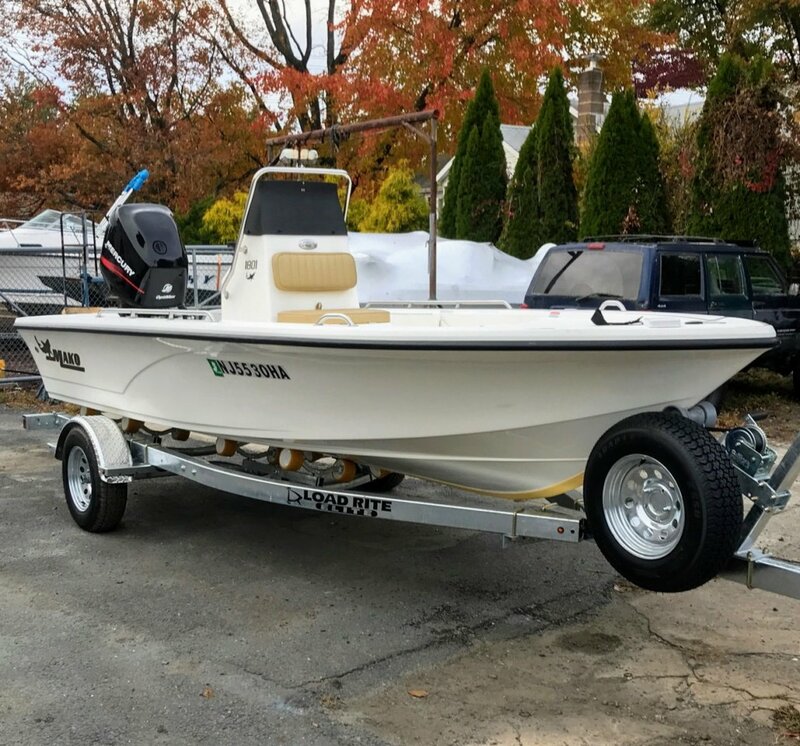 Here is the latest picture of my "new to me" 2006' Mako Model 1801 Center Console Fishing Boat, which I have been restoring recently since I purchased last August. I originally posted this past October, and updated my picture today, as I recently purchased a brand new Loadrite Trailer from N & B Marine Supply located in Bordentown, New Jersey. The guys did a great job setting her up !!! So, since the picture I had the boyz shrink wrap her, and I winterized myself before hand. Hoping to add a T-Top and Rocket Launchers in the Spring !! !